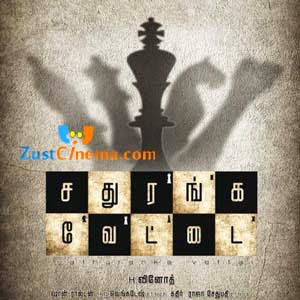 Natarajan and Ishara Nair playing the lead roles in Sathuranga Vettai is releasing worldwide on July 18th. in 250 theatres in Tamil Nadu. The film is touted to be a thriller genre film. Ilavasrasu and Ponvannan are playing important roles in the movie. H Vinoth is making his directorial debut in Kollywood with this film and Sean Roldan is the music composer. Mano Bala is producer of this con-movie.